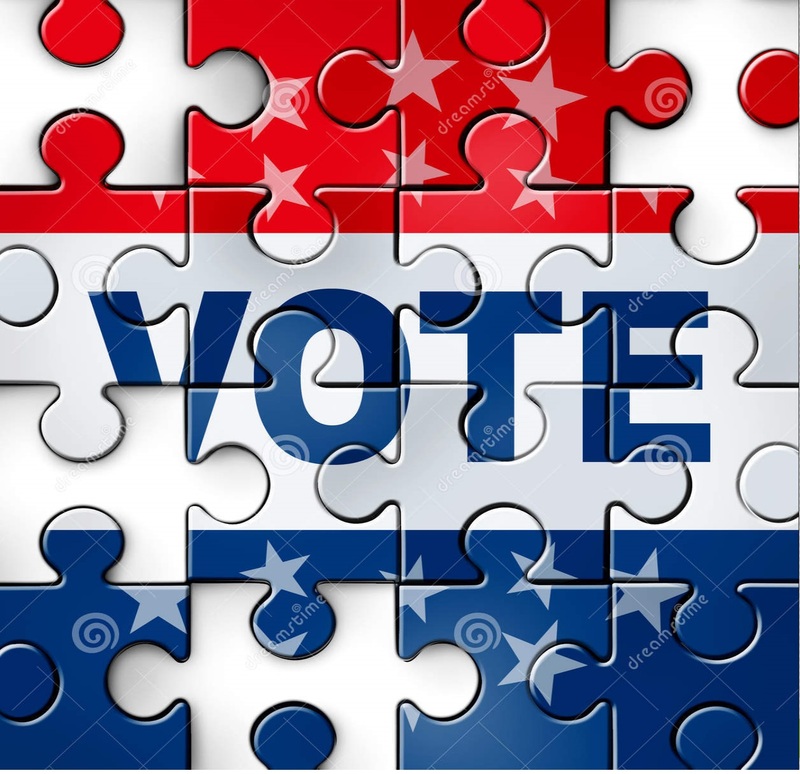 The statistic of Rising American Electorate (RAE) shows unmarried women, millennials, and minorities, now account for more than half of the Voter Eligible Population (VEP) in this country (59.2%). If they register and vote they can change the direction of policies pushed toward their interest. Nothing is more critical to our representatives, then getting elected. This majority believes in access to health care, equal pay, paid family leave, and affordable education. They have the numbers to elect politicians to pursue this agenda, but only if they make it onto the rolls and to the polls. 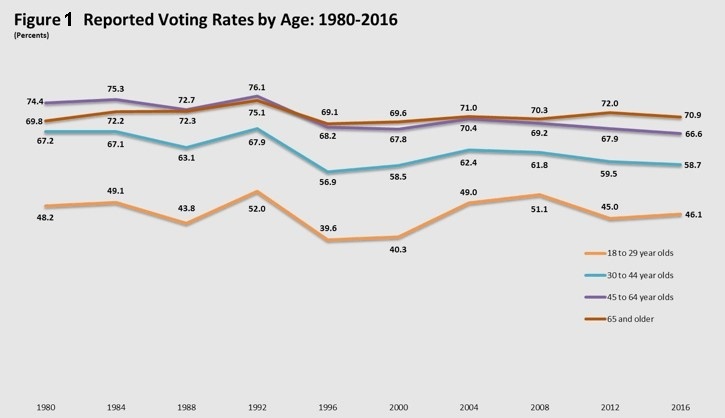 Unfortunately young voters notoriously neglect the importance of voting(Figure 1), but their voice is an important one on both sides of the aisle. Key issues in every election increasingly relate to the concerns of students and professionals between the ages of 18 and 29, making it essential for members within that age group to educate themselves on political issues and take to the polls. Millennials represented nearly 50% of the entire voter population in the 2016 election. Millennials have been credited with the decisive vote in the 2012 election of Barack Obama for a second term as president; Obama won 67% of the national youth vote. 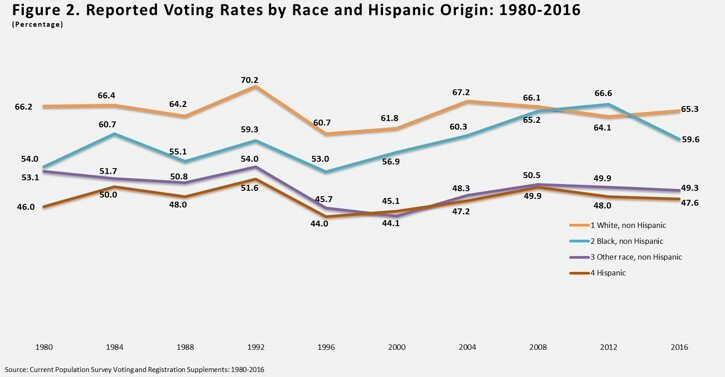 The same is true for Hispanic Origen population(Figure 2), while they have a lot to lose, their voting rate is the lowest among all other race. I Shall Vote © 2019. All Rights Reserved.